The Path of Insight is a journey to bring you more fully to the best of you – your authentic self and loving heart. Insight I: The Awakening Heart. Insight I, first of the Insight Seminar Series, builds the foundation for awakening your heart and discovering what will support you in creating a life you love. The Seminar is joyful, engaging, and moves quickly through a combination of short presentations, one-to-one exercises, small group activities, guided imagery processes, and sharing with the facilitators. Insight I lays the foundation for a unique journey of deeper self-awareness. The seminar supports each participant to develop the tools and confidence necessary to achieve greater well-being. The program builds the core skills needed for higher levels of success in all areas of life. This is a valuable opportunity to take three days out of your routine to focus on yourself. The seminars are held in a comfortable conference room with a large group of people. The days are full of engaging activities, and people are filled with a refreshing sense of energy and feeling of reward at the end of each day. You’ll be participating with people from all walks of life. You’ll meet some amazing people along your journey; some participants make friends for life. If you complete all sessions of the Insight I Seminar and you are not satisfied with the results, we will refund your full tuition provided your request is submitted in writing within 7 days of completing the Seminar. 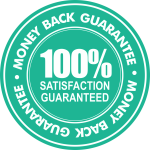 The Money-Back Guarantee applies to the Insight I Seminar only. Insight II - Opening the Heart. This seminar provides you with the opportunity to continue to expand upon the self-exploration work that begins in Insight I. Many people describe the Insight II Seminar as a peak moment of transformation in their lives, even decades after they graduate. Highly experiential, the Insight II is a powerful step in self-awareness that brings each participant into a more conscious alignment with his or her true purpose. This automatically promotes greater joy, fulfilment and the experience of true abundance. Limited to just 40 participants and running over 5 days, the seminar is designed to identify and promote profound reference points for your life, enhanced by a high level of group support and individual facilitator attention. The Insight III: Centering in the Heart Seminar. Connect with your inner, authentic Self. The Insight III seminar focuses more intently on the connection with the inner, authentic Self. It is an extraordinary seminar designed for people who want to bring forward a greater capacity to enjoy life, to be present in the moment, and to become more deeply centered in the heart regardless of situation, circumstances, or environment. Insight III brings alive the relationship with the inner levels of Self. For many students it is the first opportunity to recognize and connect with some of their higher aspects. Insight III is limited to 60 participants and is held in a retreat environment. Group and introspective processes are the main focus of the Insight III experience. Portions of the seminar are held in silence. Lodging and meals are provided to maintain the inner directed focus, though the seminar provides an environment for laughter and fun.